(Q1) Are we a reliable company? 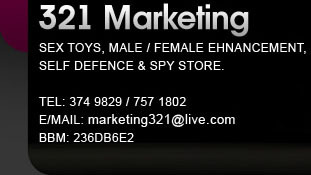 (A1) 321 Marketing is a registered company in Trinidad and Tobago since August 1998. We are committed to a quality service and customer satisfaction. However, only defective products reported within 24 hours of purchase will be exchange for an exact replacement. NO CASH REFUND OR EXCHANGE. (Q2) How long does it take to deliver an order? (A2) East / West corridor from Arima to west Trinidad; and North/South to Chagaunas and environs will receive delivery within 24 hours. 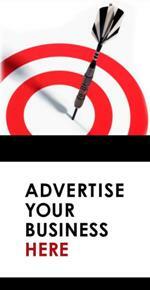 All other sales in Trinidad and Tobago are delivered within 2-5 working days. Sales outside of T&T delivery time is 5-10 working days. (Q3) Is there a delivery charge? (A3) Trinidad delivery is FREE. Tobago and beyound delivery charge 10% of sales total value. (Q4) Can I pay with my Credit Card? (A4) NO. Currently payments are only processed via COD, Bank Deposit, Postal Order and Western Union Money Transfer.